Lee Bul (b. 1964, Korea) gained international recognition for her formally inventive, intellectually provocative oeuvre and installation. Iconoclastic from the beginning, Lee made a radical break with her academic training in sculpture to produce performative pieces incorporating wearable, soft-sculptural forms that contravened idealized conceptions of beauty. Lee continues to create provocative works that cross genres and disciplines, exploring themes of beauty, corruption, and decay. Her works has been featured in solo presentation in museums throughout the world, including The Museum of Modern Art, New York (1997); Fondation Cartier pour l’art contemporain, Paris (2007); Mori Art Museum, Tokyo (2012); Hayward Gallery, London (2018); and Gropius Bau, Berlin (2018-2019). Top left image: View of exhibition, “MMCA Hyundai Motor Series 2014: Lee Bul,” National Museum of Modern and Contemporary Art, Korea, 2014-15. Aubade III, 2014. Aluminum and stainless-steel structure, polycarbonate sheet, metalized film, LED lights, electrical wiring, fog machine, dimensions variable. © Lee Bul. Photo: Jeon Byung-cheol. Photo courtesy: National Museum of Modern and Contemporary Art, Korea. 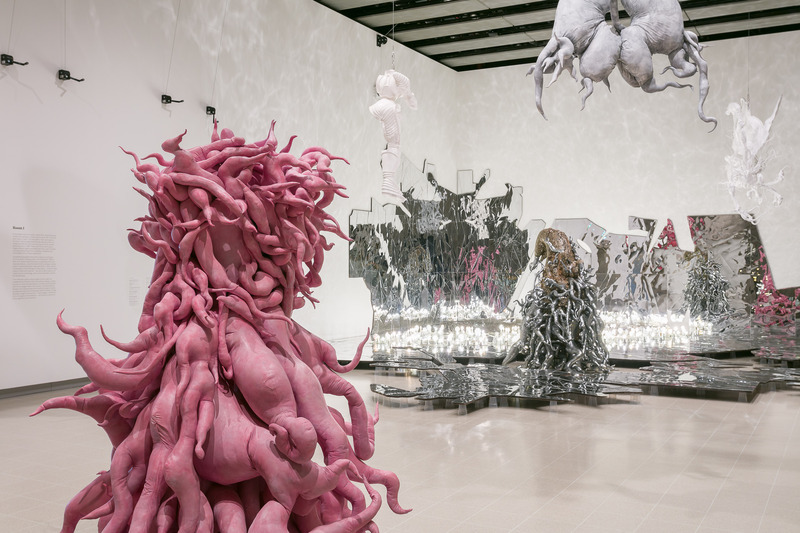 Bottom left image: Installation view of Lee Bul: Crashing at the Hayward Gallery, 1 June – 19 August 2018. © Lee Bul. Courtesy: Hayward Gallery, London. Photo: Mark Blower.